Almost a year ago, Google stood on stage at its Google I/O conference and told us that later in 2018 we would be able to switch the Google Assistant voice on our phones and Google Home units over to John Legend’s. We’d be able to have John tell us jokes, ask him questions about music, and probably sing us a song or two. We’re in 2019 now and John Legend is finally here. 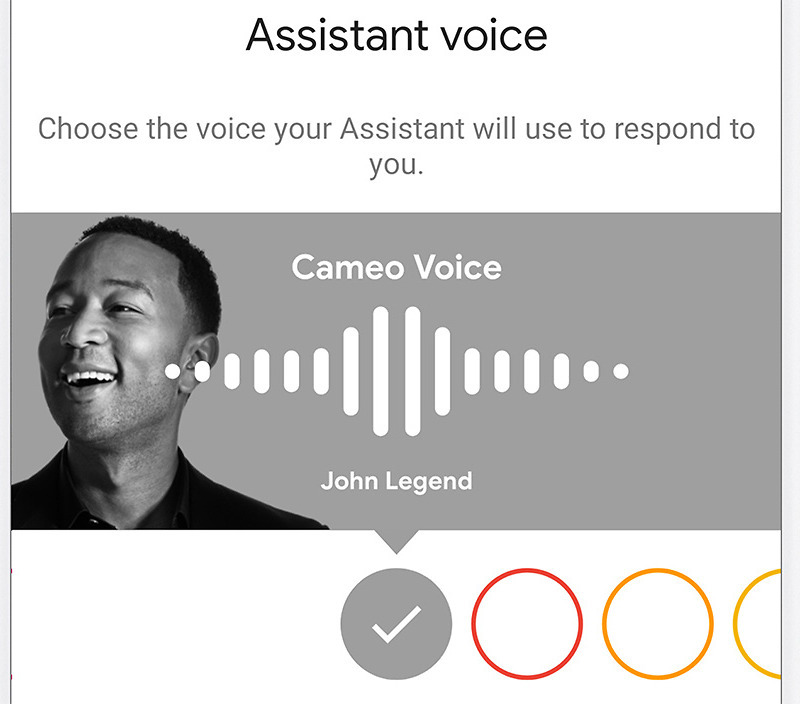 Starting today, John Legend’s voice will an available cameo voice for select Google Assistant queries. To turn him on, you can simply say, “Hey Google, talk like a Legend,” or head into Google Assistant Settings>Assistant>Assistant voice. Once setup, John will be able to tell you the weather or answer some basic questions (like how long to cook bacon in the oven). Google baked in Easter eggs too, which as you probably guessed, involve his wife, serenading you, singing Happy Birthday, telling jokes, that’s sort of thing. If you run into a request that’s not related to weather or John’s sense of humor, a regular Google Assistant voice will be there to answer you. John Legend will be an available voice on all devices with Google Assistant, including Google Home, Smart Displays, and your Android or iOS phone.